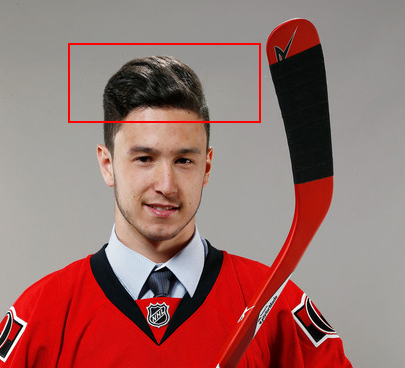 Hi, the other day I found myself checkin in on some of YOUR Ottawa Senators prospects for no reason other than having an extremely healthy relationship to the sport of hockey. Admittedly, I was sniffing around the cyberweb to see how the 3rd round pick who caught the attention of our very own Lunch Peristy at the rookie tournament, Gabriel Gagne was faring so far this season in the QMJHL. To my surprise there was absolutely no statistical information for Gab Gagne for the 2015-16 season on both of the websites I looked on (IM NOT MADE OF wEb.SiTeS). Maybe he’s hurt, maybe he’s taken his talents to the Kontinental Hokki Leeg where due to a recent financial downturn for the major Russian crime syndicates, statistics and other record keeping (such as paystubs) have been postponed for the foreseeable future. Hi, I’m singer songwriter Miles Gendron and I like to keep it super duper casual. OH…and the eyes of a hatchet murderer. K, turns out Perron is a left winger but don’t get it Twiztid, that doesn’t make the numbers he’s posting any less impressive. Perron has put up 15 goals and 19 assists for 34 total points in …wait for it *timpani* 16 games. Yeah, G is currently operating at an over two point per game pace, not to mention just shy of sitting at a goal per game. He was also named the league’s first star last week (which is nice). In the spirit of keeping it 100 for you, dear reader, I urge caution as when one examines the top 5 in the QMJHL scoring race [AT THE TIME OF THIS WRITING] the other four skaters, a bunch of French dudes I’ve never heard of, are sitting respectively at 33, 32, 31 and 30 points. So I would hazard that 4 other teams are probably thinking they have their own Francis Perron on the creep. After all, this is the same league that brought you a 98 points in 57 games rookie season from 1st round pick and current Italian ELITE league gawdbody Angelo Esposito (BTW Espo gunna put Cortina SG on his back this year and take his paesans all the way to Lord Boyardee’s Cup). That said, it’s one thing to do well in an offense-first junior league but another to lead an offense first junior league in production overall. You gotta respect that people put up mad points in this league and for the time being he’s putting up the most. 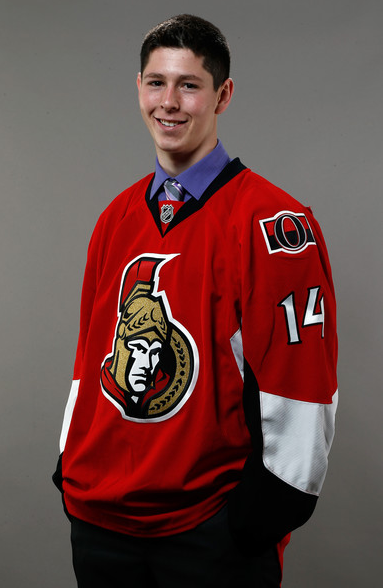 As a seventh round pick, 190th overall, this guy has all the making of a classic Bryan Murray late round SLEEEPAH. But unlike other recent late round gems, Mark Stone (lack of skatefullness), Mike Hoffman (overagedness) and *sigh* I guess Brian Elliot (Swaggarlessness?) it’s a bit tougher to find a ton of info as to why Franny P was left on the board with only 20 selections remaining in the entire draft. All I can come up with “he doesn’t weigh much.” K.
Again, maybe a guy who went all the way to halfway down the 7th round of the draft wasn’t the most heavily scouted player to begin with but like Stone and Hoffman before him, putting up the numbers he’s putting up, I invite you to join me in keeping an eye on him this season. After all, it was after being drafted that Mark Stone dominated the WHL and became Canada’s Sweetheart at the World Juniors. Ditto Mike Hoffman winning the Antoine Vermette Memorial Trophy for QMJHL MVP as well as Q League Sportsman of the Year (also called the Antoine Vermette Memorial Trophy). I suppose Quebec league players are the easiest to doubt due to the leagues one dimensional reputation but that’s not fair considering the Q has produced a ton of quality NHL players forwards including our very own Michael Hoffman. After making quite a strong showing at development camp as well as the rookie tournament, as a SEVENTH round pick, Perron’s development is like playing with free money. Think of him as a regular Emil Sanden but with actual goal scoring stuff going on. 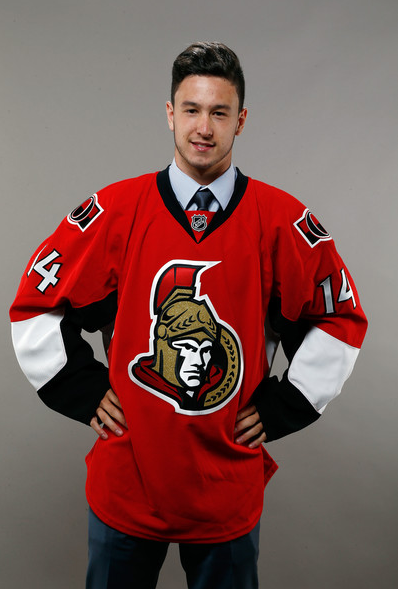 A 19 year old in his final Junior season, if he can best his already impressive 76 points in 54 games from last year, he should at the very least be an intriguing addition to the Binghamton Senators forward corps going into 2016-17 season.